We started the day with a couple of beers on the beer deck. We got the first beers out of the tap, and to us they went down a little on the rough side. The beers died in the glass, and failed to leave foamy tide makes as the contents ‘evaporated’. However the lunch menu looked appealing, and you would suggest that that the inside of the Isa has been converted into a the dining complex for the establishment. This probably results in more of a club like atmosphere, rather than a pub. Anyway, we decided to explore the town further, with an option to return later for a meal. 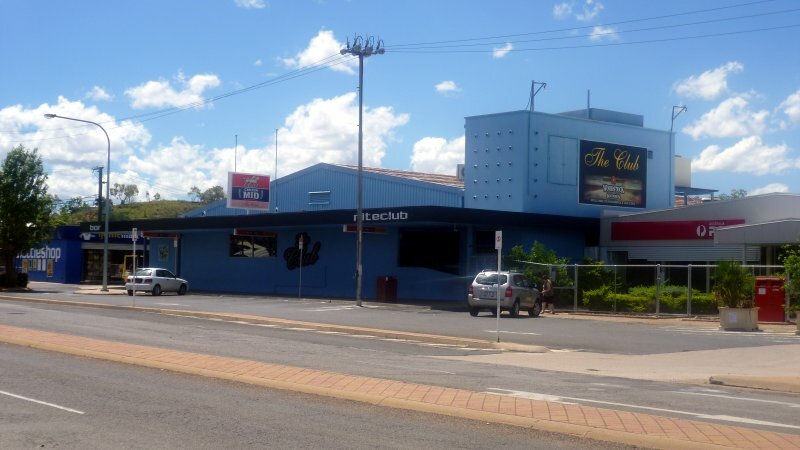 Next we headed to “The Club” which showed up on google maps as the Mt Isa Tavern. Externally the place looked to be a converted concrete bunker, and inside had the faded appearance of the aforementioned bloodhouse. However, initial thoughts of throwing a quick beer downs ones neck, and quicky dispersing soon disappeared with the excellent and friendly service that was offered, the beer that tasted as it should be, and the nice touches offered by staff – donating some beer branded stubbie coolers in lieu of having any souvenir “been there” items for sale for instance. We settled in very happily until lunchtime, where we ventured back to the Isa. Certainly, the beers had improved this time around and so we enjoyed one while waiting for lunch. Then another, and a third – this really was taking far too long, especially as we had a train to be on. However, the lengthy wait was forgiven when the meals were ready, because they were truly wonderful. But to be honest, I enjoyed the more earthy atmosphere of The Club during our brief visit. Be interesting to see it at night! Now, over to Hamish who kicks of with his view of The Isa Hotel. The initial appearance was one that screamed “replica” and “austere” due to the large amount of rendered concrete walls that faced the street, with a noticeable lack of windows. The other impression that this place was that it could seem to be that one of the pubs owners somewhere, at some stage, decided to buy the pub next door, and then join the two with a common outdoor bar, slightly elevated and with a smoker area adjunct. I wasn’t impressed with the beer – cold yes, however lacking in vitality and flavour. At the outset, I deduced that this was due to this being the “first beer of the day” being “a bit rough”, but a revisit later proved me incorrect. Overall, I found the service to be incredibly slow, the appearance austere and generally sterile. On the slip side, the pub is well layed outed, well planned, and a cool oasis to while away a few hours in a very hot sultry town. I would be favourable toward considering their accommodation should the need arise to stay in Mt Isa in the future. The Club on the other hand was quite the Pandora’s box. Outside, it exuded a quality that gave the distinct impression that a fight could easily commence outside its doors late on a Friday night, and the carpet inside could easily show signs of a sordid history. Needless to say, we didn’t have high expectations. It has been wisely said to “make no expectations, receive no disappointment”. 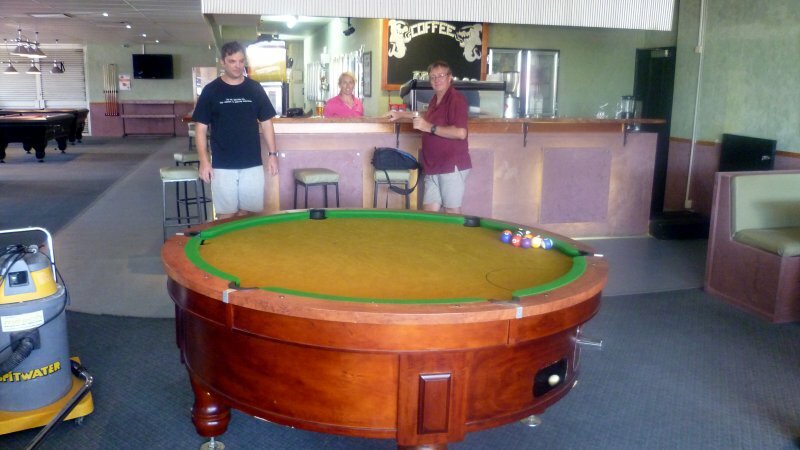 This rang true at The Club, as despite initial impressions, the service was friendly, the beer was cold and tasty, and the lounge area boasted a circular pool table. Now it needs to be said that it would still likely be a pretty rough place on an evening, especially after a multitude of cleansing beverages were consumed. However, the old addage of not “judging a book by its cover” could never have been truer – looks can indeed be deceiving. Back to the Isa Hotel for lunch, and again the service was borderline painfully slow, however in fairness, it is suffice to say that the expensive meals were most delicious and were enjoyed by all. Again, a very modern yet (in my opinion) quite sterile place lacking in charisma and character. 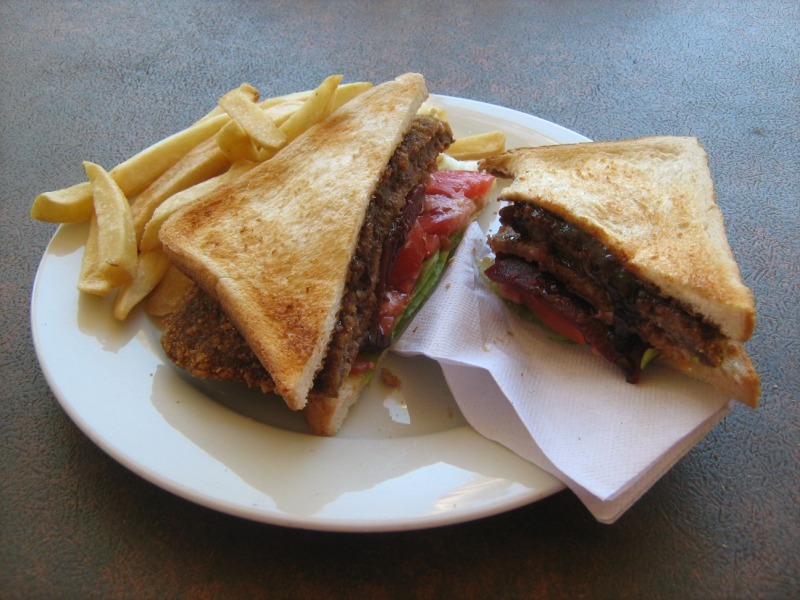 This entry was posted on 4 January, 2011, 8:42 pm and is filed under Pubs, Queensland. You can follow any responses to this entry through RSS 2.0. You can skip to the end and leave a response. Pinging is currently not allowed. The isa has the best rooms in Isa, however, despite me being a regular monthly patron and a very decent spender entertaining local industry. The service is TERRIBLE, some staff downright rude and the Indian cooks , the best. the Isa dining and bar staff need to learn a little about customer service, with the change to new professional owners the level of service has become professionally slow and the atmostphere DEAD and lacking any real character.